Big things have happened. When big changes are afoot either within your company or in your industry, it is best to be on your guard. Declines in your industry can lead to a large number of jobs being cut, and a reorganization within your company can cost a lot of people their jobs. Keep your eyes and ears open as they can provide you with the first indication that your job is not secure. Your responsibilities start to disappear. It’s subtle and gradual, but you begin to notice that your most important responsibilities have been reassigned to one of your coworkers. The tasks that you are still doing are of much less value to your employer and your manager now expects very little from you. Your manager is distant with you. Recently you have been hearing about meetings that you weren’t invited to and your manager no longer talks to you. It feels as if your manager has no interest in involving you with what is happening in the company, or even talking to you on a personal level. You have a lot of formal meetings about your performance. You receive a lot of formal feedback, all of it written down. You get the sense that your employer could be building a strong case to get rid of you. People stop talking to you. You suddenly start to feel invisible. You eat lunch alone and nobody engages you in conversation. It seems like people don’t want to be associated with you and you get the distinct impression that people are avoiding you. 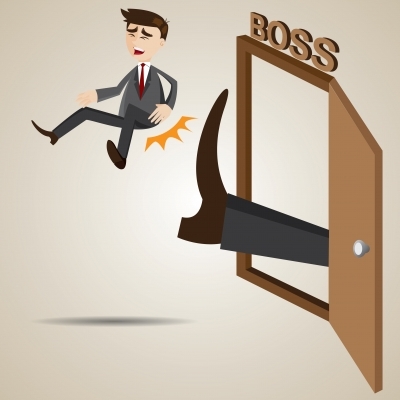 Rarely will somebody actually come out and tell you that you are in danger of losing your job, but if you learn to read the signs, you can avoid being blind sided. If you think something is up, try to see if you can improve the situation, but also update your resume and identify new opportunities. Rather than losing your energy to sense out the adumbrations, it is wise to improve the performance-which is one of your conclusions.